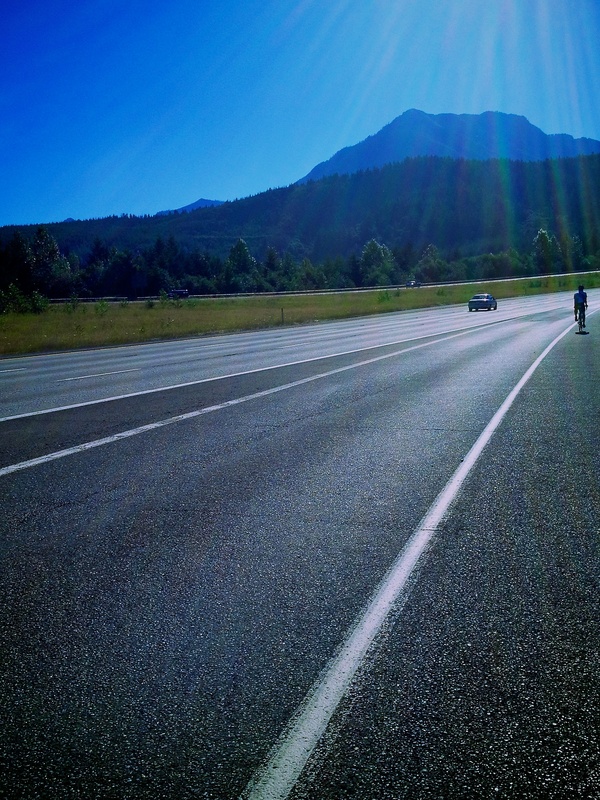 There’s no way to sell the i-90 shoulder to Snoqualmie Pass as a pleasant ride. It’s not. A semi debris field next to 70-mph highway traffic with rumble strips and broken pavement doesn’t place on the list of “best rides,” like Lewis and Clark did from last month. But the Courage Classic cyclists tune those sections out, go to a happy place, and ride to the next stop. They’ve got the children of Mary Bridge Hospital on their minds and I joined them for the day from Snoqualmie Ridge to Lake Easton. The ride gets good up Denny Creek to the Summit. 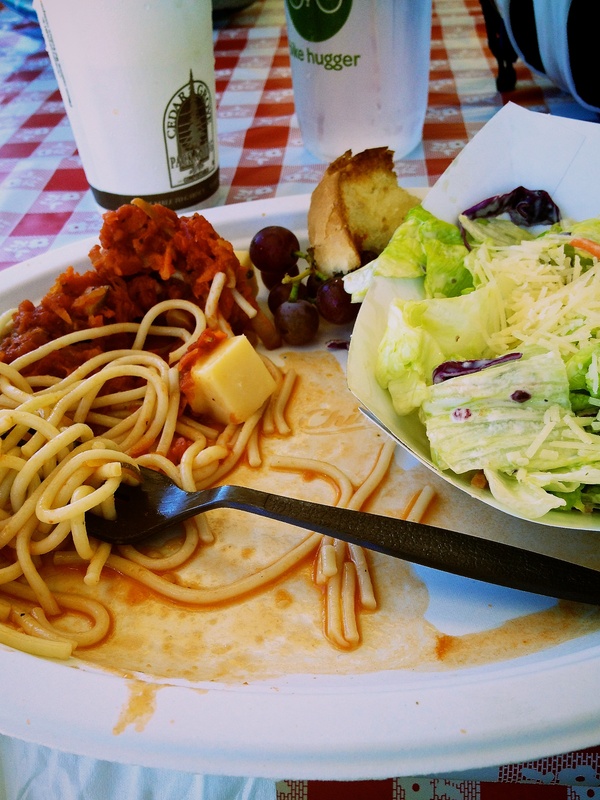 Where it’s a rule, possibly a law, that a charity ride must serve you a plate of Rotary spaghetti. Served by nice retirees too and that’s how this ride works, with an enormous volunteer staff and Rotary clubs at each stop. 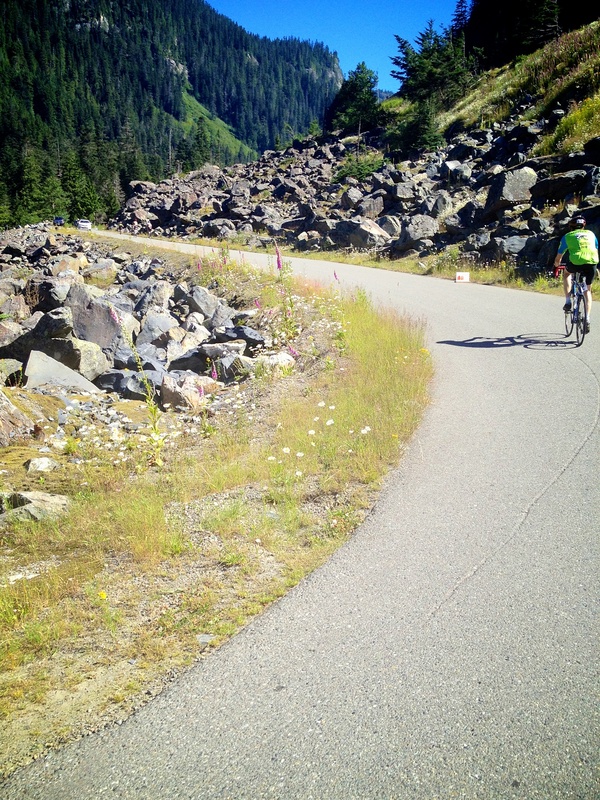 In 21 years, the Courage Classic has raised 7M for children and this year 600 cyclists were out on the passes of Washington State. 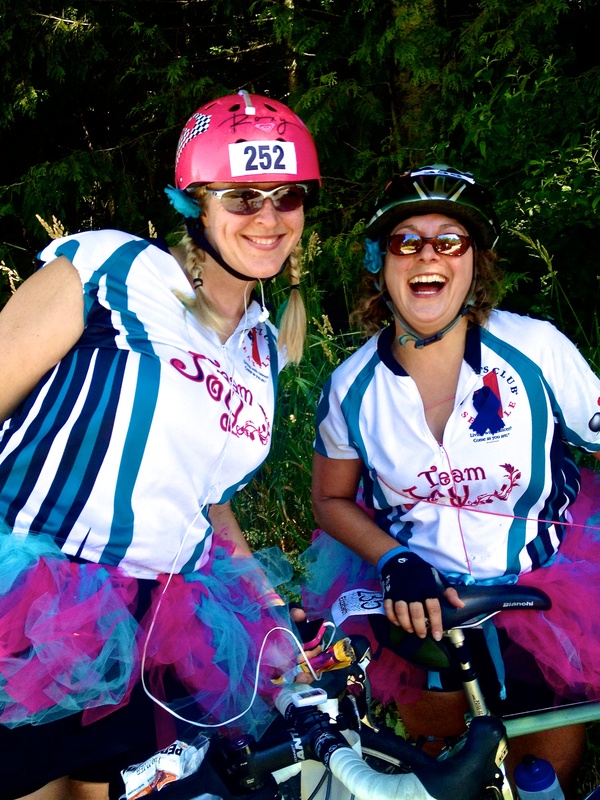 I’ve ridden other events like this and some are very competitive. This one is truly a ride and a pleasure to chat with cyclists I normally wouldn’t see at the races, when traveling, or in the city. It also has strong corporate support from companies like UPS and Alaska Airlines. Those companies are doing more than writing checks though, they’re into it and have teams riding together on all kinds of bikes. It’s easy to ignore i-90’s unpleasantness when the people are that nice and the vibe so good. They had support staff and sag wagons changing tires and making sure everyone was ok.
Microsoft Azure hosts iCloud, right? Massive traffic? Yup. Bandwidth and uptime, too! 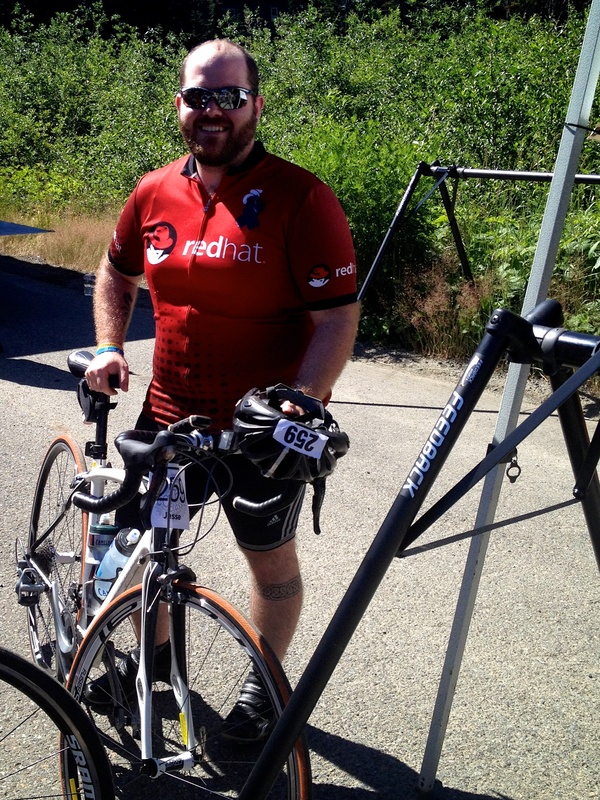 Then to offset an MS presence, Red Hat shows up. 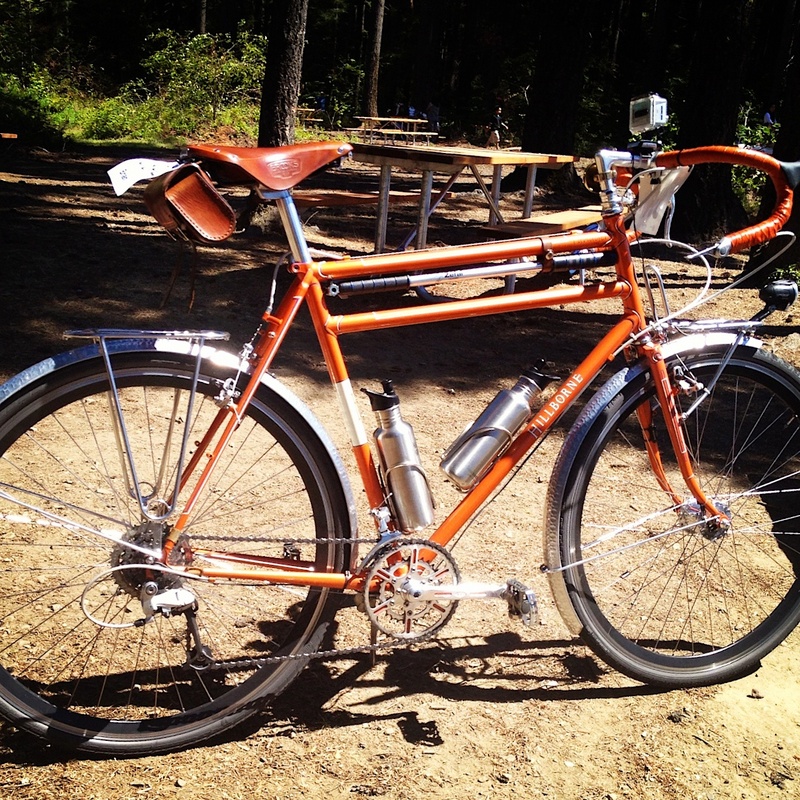 Also spotted this Hillborne and anyone sporting an outfit in burnt orange, with shellacked bar tape accoutrements deserves respect. Props too. Needs a hemp wrap and basket for that little silver box though. These two were having the times of their lives. 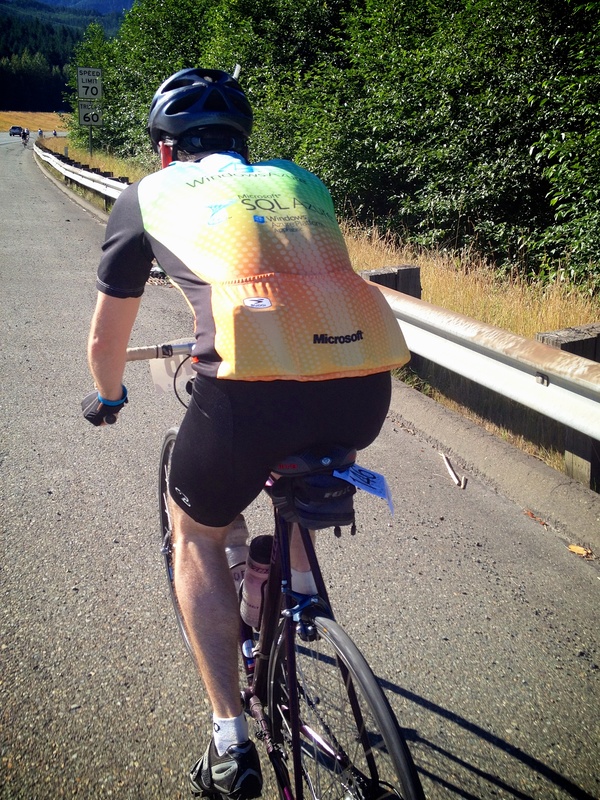 The Courage Classic continues over Blewett Pass today and Stevens tomorrow. See select, high-rez photos in this lightboxed gallery on G+. The rest of the photos are also on G+ and Flickr. Also check the photomap from this ride.